Ready to heat things up this summer? From easy apps, sumptuous sides, and grilling favorites, to sweet treats, and crave-worthy cocktails, we’ve gathered the best summer recipes to enjoy all season long. Whether you’re planning a big family cookout, a potluck, or a no-fuss dinner party, these recipes will win over hearts while still leaving you time to socialize. 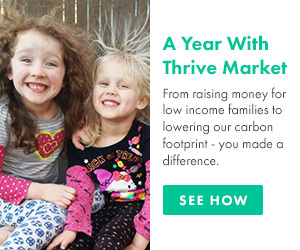 With so much produce peaking during the warmer months, summer is the perfect time to hit your local farmers’ market. 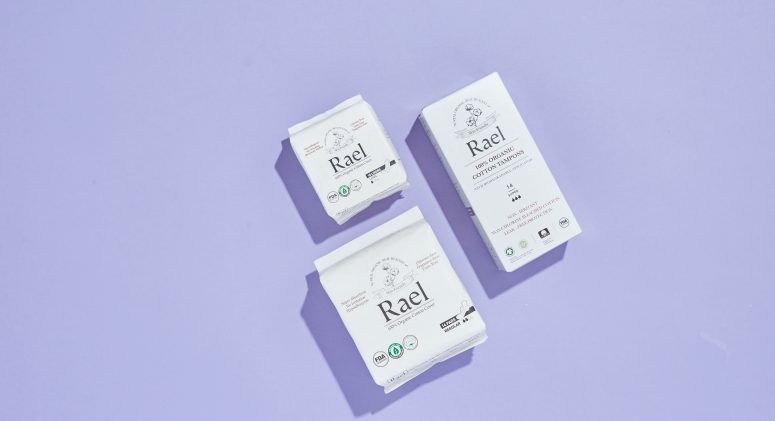 Be sure to add these seasonal favorites to your shopping list. Blackberries: These summer berries are in peak season from June through August, ripening earlier in the Southern states and later in the Midwest and North. Corn: From June through October, corn is a go-to vegetable for grilling, throwing in salads, or mixing into salsa. Eggplant: Also available from June through October, this nightshade works well on the grill or tossed into pasta salad. Tomatoes: Known for ripening in the sun, tomatoes are in season as early as April but peak from June to October. Nectarines: Stone fruits like nectarines (along with cherries, peaches, mangoes, apricots, and plums), peak from June to September. Watermelon: You really can’t survive summer without this go-to fruit, which is in peak season from May to September. Zucchini: This summer green veggie fave peaks in June through late August. While you don’t want to spend too much time around a hot oven this time of year, your kitchen (and grill) will still be working overtime with summer gatherings on the agenda. 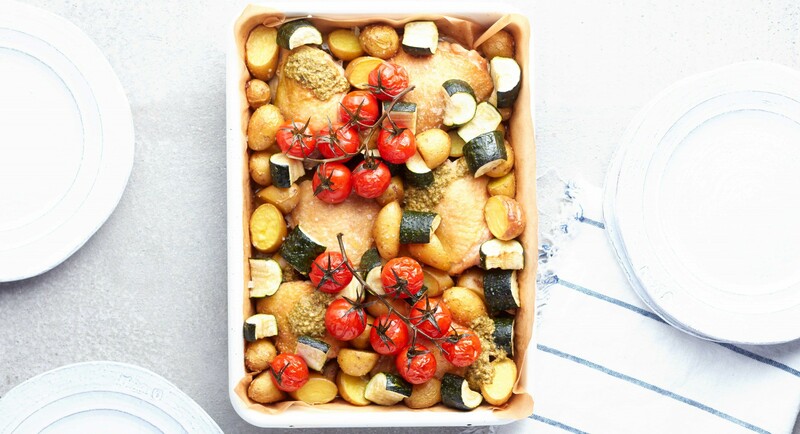 Fresh, delicious, and downright easy, these summer recipes pair perfectly with large groups while celebrating the flavors of the season. Start things off on a high note with these palate pleasers. Rock ‘n roll with delicate shrimp rolled in brown rice wrappers, kelp noodles, crisp veggies, and bright herbs served alongside an almond-tamarind dipping sauce. Here’s an easy way to eat more greens: Roll baby spinach, avocado, pea shoots, snap peas, and fresh herbs together in rice paper rounds and pair with a cilantro dressing. Need a new dip for your next dinner party? This traditional Syrian dip combines zesty red bell peppers with hearty roasted walnuts. 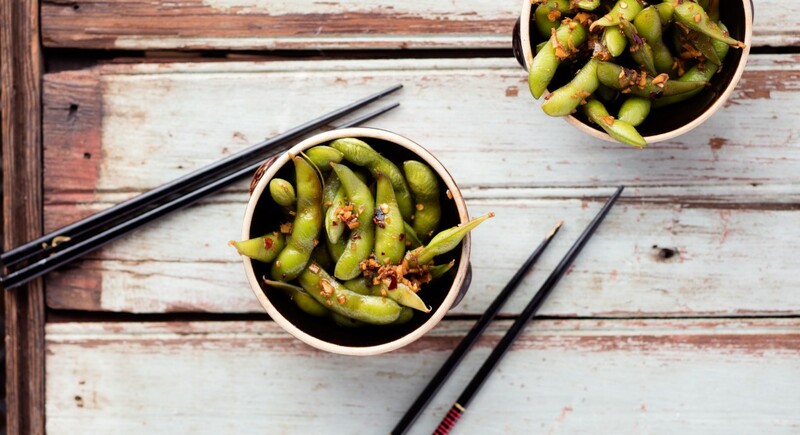 Give basic edamame a taste of the islands with red pepper flakes, coconut aminos, water, and coconut sugar. Rich, velvety, and totally dairy-free, this easy dip whips together avocado, jalapeño, lime juice, unsweetened almond milk, and spices. Prepare to rule those summer potlucks with our ultimate side dish recipes. Skip the extra carbs and top spiralized zucchini (or “zoodles”) with cannellini beans, fresh herbs, green onion, and lemon juice. 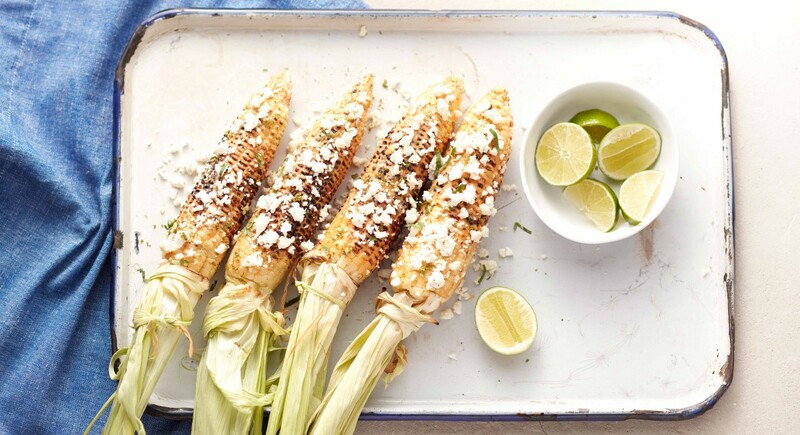 This take on the grilled Mexican street corn recipe uses an avocado oil-based mayo, crumbly feta cheese, and plenty of lime and cilantro. Light and refreshing, this Japanese dish combines cucumbers, wakame, dashi, radishes, minced ginger, and a salty sweet dressing of rice vinegar, coconut aminos, and honey. There’s something to be said for keeping it simple, and this recipe does just that with ripe heirloom tomatoes tossed with herbs and shallot, large flake salt, and drizzled with olive oil. Unexpected? Yes. Delicious? Absolutely! This unique recipe pairs Japanese eggplant with a zesty and creamy lemon turmeric yogurt sauce and tops things off with juicy pomegranate seeds. Put that summer produce to good use with these flavorful meatless recipes. 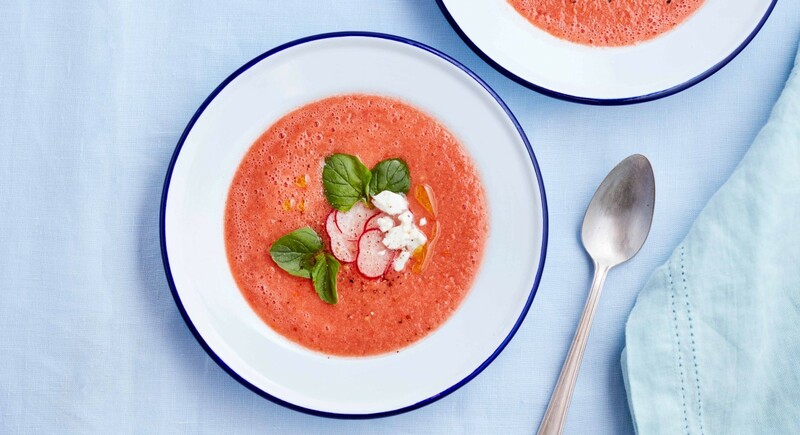 This cooling, refreshing soup calls for summer’s most popular fruit along with tomatoes, cucumber, and jalapeño for the perfect burst of seasonal flavor. An updated spin on a classic Roman dish, this low-carb version incorporates zucchini noodles into the cheese and pepper favorite. Traditionally found in Provence and known as “socca,” this recipe comes together in the skillet. Finish it off with a lemony salad of zucchini, watermelon radishes, and feta for a global-inspired treat. Go vegan for your next Taco Tuesday with thin slices of eggplant topped with walnuts, sun-dried tomatoes, and a generous blend of spices. There’s nothing boring about these refreshing summer salads! Give your shrimp the smoky treatment with paprika, pepper, salt, and a coating of special sauce. Artfully arranged on a bed of greens alongside hard-boiled eggs, creamy avocado, juicy tomatoes, and more, it’s a filling meal all season long. Perk up poke with a citrus-ginger marinade of ginger powder, coconut aminos, and toasted sesame oil over sashimi-grade ahi tuna, grapefruit slices, and creamy avocado. 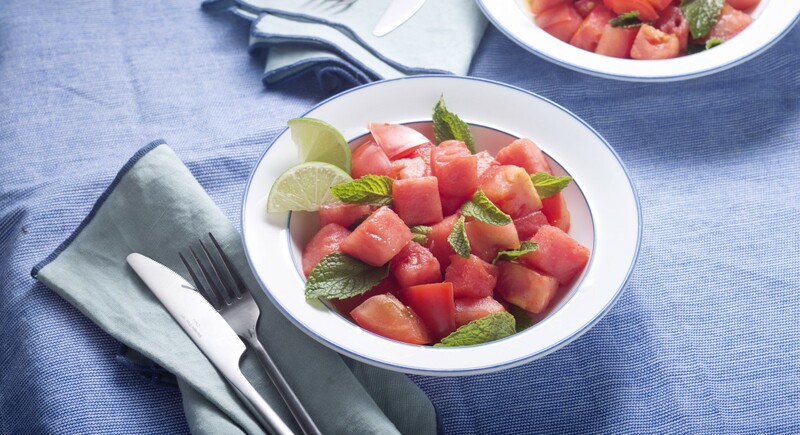 Put your market haul to good use with cubes of refreshing watermelon, juicy tomato chunks, a blend of spices, and fresh mint for a sweet and savory bite. Quick, easy, and full of bright flavor, this salad combines raw zucchini with basil, mint, and balls of fresh mozzarella. Skip the mayo and coat baby potatoes with chopped parsley, chives, and mint along with a zingy dollop of spicy yellow mustard. Who says the grill is just for meat? These perfectly charred romaine hearts are a meal all on their own when drizzled with avocado-lime dressing and topped with warm quartered eggs and parmesan. Whether you’re grilling Paleo style or going gluten-free, these summer dishes have something for everyone. Find even more easy dinner ideas here. Lomo saltado is a traditional Peruvian stir-fry that you can whip up in a hurry, and for a classic recipe, we turned to Los Angeles chef Ricardo Zarate from Rosaliné restaurant. After marinating in turmeric, lemon, yogurt, and garlic for six hours, this grilling go-to is tender, juicy, a definite crowd pleaser. Gather the troops and eat as the Italians do with this one-pan dish that brings together sweet and savory flavors with sausage, tomatoes, onion, garlic, aged balsamic, and fresh basil. Made with ground lamb, cumin, cinnamon, and allspice, and topped with pistachio pesto, summer is all about putting a new twist on a traditional burger. Load up on omegas with a buttery filet of wild-caught salmon marinated in mirin, coconut vinegar, raw honey, and coconut aminos, and cooked on a cedar plank for smokiness. Did someone say sriracha? You can’t beat this combination of spicy hot sauce-infused salmon with cooling mango salsa. Pair this dish with a margarita, and enjoy. We don’t mean to toot our own horn, but we’ve basically nailed the perfect burger recipe. Our version tops a grass-fed patty with cheddar, arugula, and minced red onion. You can even add an easy-to-make slice of ketchup leather for an unexpected surprise. Where’s the beef? Why it’s the star of the show in this robust, rich ribeye recipe that pairs the premium cut with a sweet and slightly sour cherry sauce, made with cherries, tomato paste, onion, ground cumin, apple cider vinegar, and brown sugar. Serve up seasonal sips to enjoy in the summer sun. Looking for a refreshing libation? Mix up your margarita with coconut nectar, jalapeños, cooling watermelon, zesty lime juice, and Blanco tequila. This traditional Southern cocktail gets a Japanese twist by mixing in a teaspoon of matcha powder for an added layer of flavor. Chia sangria? No way, rosé! Just add dragon fruit, ginger beer, and Mamma Chia Cherry Beet Squeeze to sparkling wine for a refreshingly different drink. We are berry big fans of spritzes, especially when combining fresh blueberries, mint, ribbons of crisp cucumber, fizzy sparkling water, a hard liquor of your choosing, and a secret beautifying ingredient. Summer is sweet … and these desserts are even sweeter. Frozen treats are essential in the hot summer months, and this vegan dessert, which coats ripe bananas in maple syrup-sweetened cacao, is a seasonal must. Hosting a summer soirée? Get ready to wow your guests with this beautiful French-inspired, gluten-free dessert made with pluots and almond cream placed atop an almond meal crust. This peachy-keen pie is almost too pretty to eat, but the unique combination of Earl Grey tea with juicy-sweet peaches, vanilla, cardamom, and cinnamon will entice you to dig in. No ice cream-maker required for this simple summer treat, which pulses together frozen strawberries, crushed ice, yogurt, raw honey, and lemon zest. This French dessert sounds complicated but is surprisingly easy. Just whisk together a quick vanilla custard, pour over handfuls of summer berries, and bake. Your tots won’t even know they’re eating something healthy when they devour these gorgeous green pops, made with blended banana, avocado, coconut water, and spinach. Brush juicy peach halves with coconut oil to grill, then hit them with a dollop of vanilla yogurt, granola, and a drizzle of raw honey.